The card game known as bridge has ancient roots dating back to the dawn of time. Of its direct ancestor, “Whist”, we have confirmed knowledge in England since the 16th century, when it was commonly played among the humbler classes. The game began to attract also the more privileged classes and its success grew to the extent that in 1742 Sir Edmond Hoyle codified it with specific rules in his “Short Treatise”, published in London, on the game’s technique. The popularity became such that the expression “according to Hoyle” became synonymous of exemplary conduct even beyond the card game. 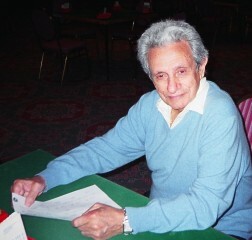 Hoyle’s intuition was to contextualise a good card game conceiving it as a social vehicle with deep moral significance. And this is still today the main reason for the success of the game. The game is still individual and only in 1873, in Buyukdere on the Bosphorous “Whist-bridge” is introduced, like the modern version with four players in two competing couples. At the same time, in the Middle East, a similar game of Russian origin, “Biritch” included in the whist-bridge category gains popularity. This has led to the still unresolved dispute as to whether the name of the game derives from the term ‘bridge’ as that which is cast between the players of a couple or, instead, it derives simply from the euphonic transposition of the term “biritch”. Whist-bridge is gradually modified and the hierarchy of the suits takes on its final and present configuration (spades, hearts, diamonds and clubs), the determination of the trump card is still casual and left to the dealer or the latter’s partner. In 1892, the American John T. Mitchell publishes a book on how to play competition whist and the first American championships are held. With the advent of the 20th century, the game rapidly evolves. In 1904, F. Roe introduces “Auction bridge”, the rules of which begin to include the determination of the trump suit by means of an auction amongst players and the game immediately gains widespread popularity in France and in the United States. In 1918, “Plafond bridge” is introduced in France with slight variations. In 1925, thanks to American Harold S. Vanderbilt, the “Contract Bridge” rules are endorsed by the Portland Club of London, the Whist Club of New York and the Commission Française de Bridge, the most authoritative and respected bodies with regard to the rules of the game and sporting ethic. These rules are still in effect today. In the United States, between 1927 and 1932, the game’s popularity soars thanks to Ely Culbertson, an immigrant of Romanian origin, who had married Josephine Murphy, considered to be the top Bridge player in the United States, and who in 1929 founds the first bridge magazine, “Bridge World”, still today one of the most distinguished publications on the subject. In 1932, the International Bridge League is founded in Scheweningen, Holland, where it organizes the first European Championship and the first World Team Championships. In 1937, the American Contract Bridge League – ACBL is founded in New York and in 1947, the European Bridge League – EBL– is founded in Copenhagen. 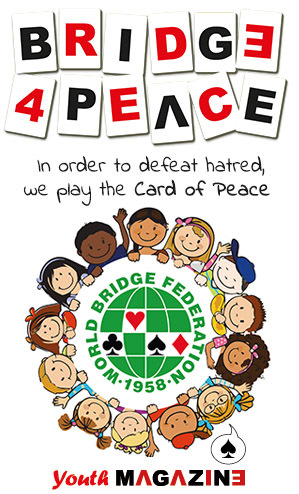 In 1958, the World Bridge Federation – WBF – is founded in Oslo, replacing the International Bridge League, and taking on the task of supervising international bridge activities, coordinating relations among the various participating nations and regulating the rules of the competitions. The World Bridge Federation is an International Federation recognised by the IOC (International Olympic Committee) and full member of the ARISF (Association of IOC Recognised International Sport Federations) and SportAccord (the umbrella organisation for all, Olympic and non-Olympic, international sports federations as well as organisers of multi-sports games and sport-related international associations). The WBF, together with FIDE (Chess), FMJD (Draught ) and IGF (Go) is founder member of IMSA (International Mind Sports Association) and is recognised by FISU (International University Sport Federation) and UNESCO (United Nation Educational, Scientific and Cultural Organisation) and is Code Signatory of WADA (World Anti-Doping Agency). Still curious? Give a look at this! Bridge may improve your health. 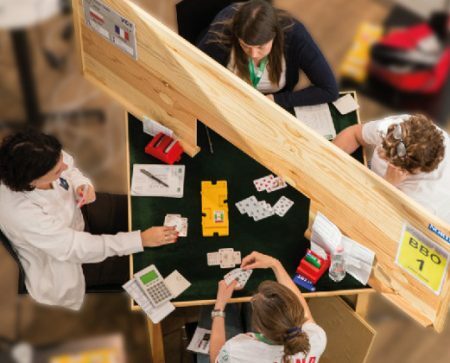 It is believed that Bridge can enhance team spirit, socialization, the development of mental abilities and helps the brain to stay young and healthy. Dr. Christopher Shaw researched the impact that learning to play Bridge would have on elementary students. The researcher from Carlinville (Illinois) found out that kids who learn to play Bridge have an astounding increase in their test scores compared with their non-playing classmates. 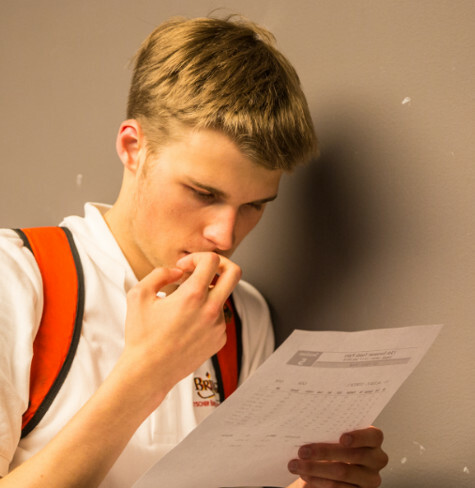 The game helped students in all five subject areas of the Iowa Test of Basic Skills. During game, players analyze the available information and make a plan for success based on their first understanding of the situation. The ability to adapt and adjust the plan when additional information becomes available leads to success in the game. Thus, Bridge dramatically helps the development of inferential thinking, which leads to better performances in all subject areas, not just math and science. The results of a research by Louise Clarkson Smith and Alan A. Hartley (Journal of Gerontology – Vol 45, Issue 6, pp 233-238) on Bridge players and nonplayers aged 55-91 indicated that players outperformed nonplayers in measures of working memory and reasoning. A study published in 2003 by Verghese in the New England Journal of Medicine indicated that senior citizens who play a board game may have a lower risk of dementia. Generally it is considered that participation in leisure activities has been associated with a lower risk of dementia. Benito Garozzo (pictured left), number 2 in the World overall ranking, will be 90 this year. 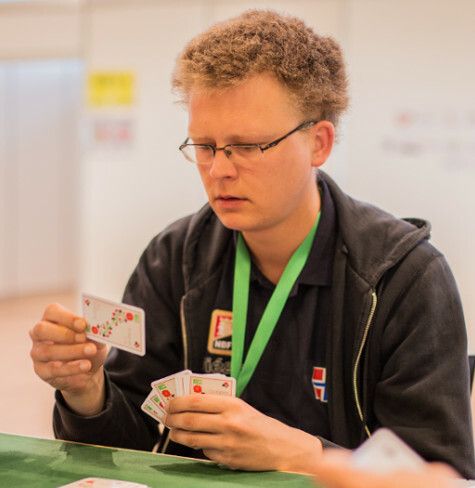 After 10 world titles, he still plays at the top level: in 2013 he won the silver medal at the European open Championships. In 2000, Marian Cleeves Diamond found out that playing Bridge stimulates the thymus gland, which produces white blood cells (T lymphocytes), thus enhancing the immune system. Bridge also improves teamwork skills: the player needs to depend on information from his/her partner before making decisions. Thus, Bridge teaches how to trust and communicate with others for mutual gain. 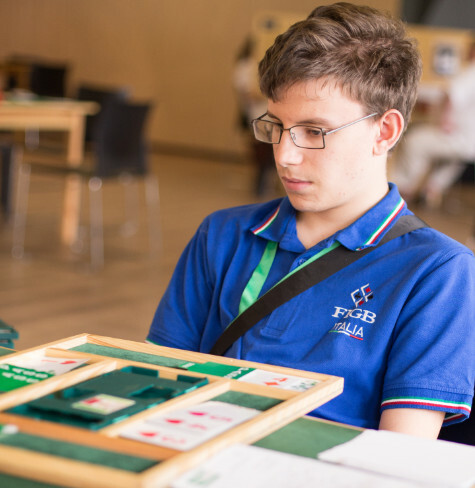 A 2014 research performed by Tor Vergata (Rome) scientists (Becchetti, Fiaschetti, Marini) proved that Bridge players, due to their superior team play habits, are more likely to adopt cooperative behavior. Bridge is a “trust game”, where deception plays little to no role. Bridge players make more polarized choices and choose the maximum trust or contribution significantly more often. Listening, etiquette, concentration, dealing with winning and losing and many other social skills can be enhanced by playing Bridge. Bridge offers many social benefits. It is a way to make new friends all over the world, but also provides the opportunity to make social contacts that can assist players in their business. Bridge players have the opportunity to meet Bill Gates at the table! The founder of Microsoft is the most astounding but for sure not the only one testimonial of Bridge – many brilliant minds of our times are devoted to this mind sport (see Testimonials). See a comprehensive list of websites; originated and maintained by Alvin Levy – email any comments. is going to be good at lots of things! Bridge is a metaphor of life. you must play at your best. and think to the next hand. When I retired, I started to play Bridge again. It's the best decision I've ever taken! and I am the happiest man on Earth. My love is still Bridge! the game going 24 hours a day! a Jew, an Indian and a Pakistani playing together. it shows a special magic about the game of bridge. Ron Smith and Jaggy Shivdasani. 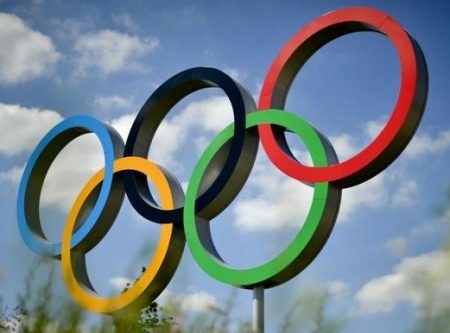 "Bridge is, with music, the only universal language"
is here in Lausanne like other sports"
qualities only achieved through physical fitness". playing bridge thinks that I am in good mental shape"